Maple, ON — Here is a short video that I created that breaks up some common misconceptions about chiropractic. Chiropractic has helped millions of people regain their health naturally without the use of drugs and surgery. How does this work? Watch the video and find out. If you like the video, click on the Like button and share with your friends. Thank you! 6 Percocet Pills a Day Cannot Be the Answer to Better Health! 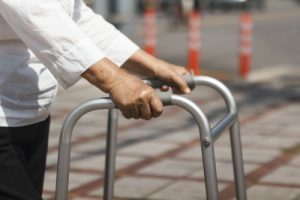 Yesterday I was listening to a radio talk show and one the of callers said something that I found very disturbing with regards to current health trends. This person is suffering of back pain. His answer…he says he takes 6 Percocet pills a day (an opioid narcotic medication). SIX a day!! But that’s not all. He also says he is given 25 novocaine injections a month for his back pain. I have difficulty wrapping my head around the amount of drugs one person can take. So six percocet pills a day are not enough, that he still needs 25 novocaine injections each month. Does this sound normal to you? Does this sound like a solution to correct back pain? Or any other health problem? I think not! Like I say in my new book, Back to Health by Choice, it’s not about healthy living by chemistry (pills and injections). It’s healthy living by better lifestyle choices. Health is a choice! The answers are available. Chiropractic has helped millions of people relieve pain, conquer stress, and regain their health. You will read inspiring stories of hope, healing, and inspiration. Back to Health by Choice made it to #1 on Amazon’s Hot New Release List for 3 book subcategories: chiropractic, backache, and headaches. 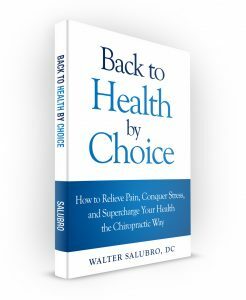 Posted in Back to Health by Choice book, Chiropractic, City Vaughan chiropractic clinic, Dr. Walter Salubro, Low Back Pain, Town of Maple chiropractic clinic | Comments Off on 6 Percocet Pills a Day Cannot Be the Answer to Better Health! 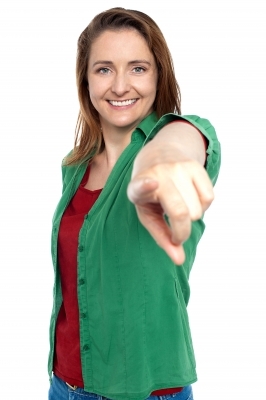 Do you live with continuous pain and discomfort? Do you suffer from horrible stress? Do you worry that your health is gradually declining? Millions of people go to the chiropractor to relieve their pain and improve their health. But why do some people start chiropractic care and get well, while some of the most well-meaning people who are sick, suffering, stressed out, and in pain do not start chiropractic care and remain sick? What is the essential prerequisite to elevating and maximizing your health? 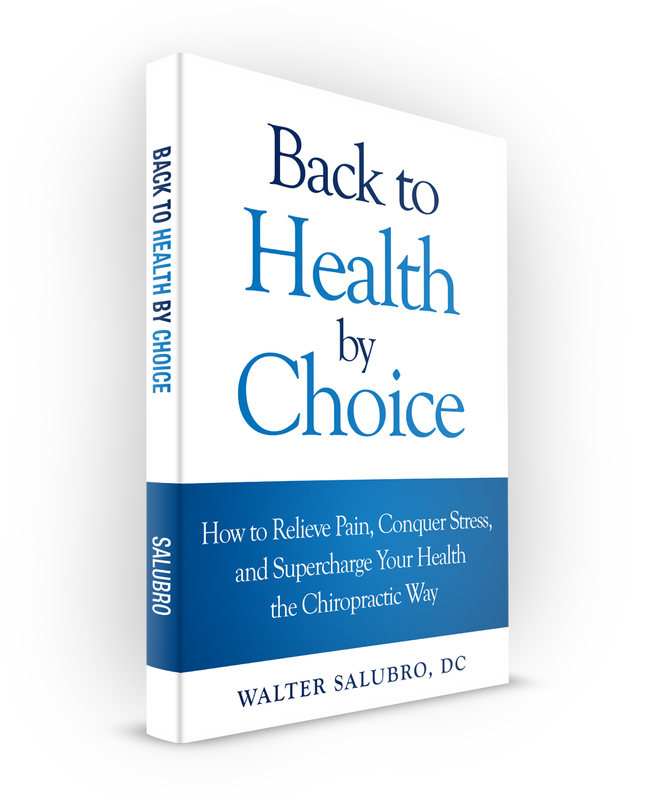 After fifteen years of clinical practice, writer, speaker, and chiropractor Dr. Walter Salubro is more convinced than ever of the answer: people who regain their health do so by choice. According to Dr. Salubro, people who choose healing get well and people who do not choose healing typically remain unchanged—sick and suffering. For headache sufferer Mary, chiropractic represented a health care method that gave practical form to her choice for healing. Back to Health by Choice covers her healing journey, including how chiropractic saved her from fifteen years of pounding headaches and led her to a healthier, happier life. If you are sick, stressed, or constantly suffering from pain, this book will guide you to make a choice for your own healing and give you the means to make a transformation in your health and in your life. How chiropractic can help relieve common ailments like back pain, neck pain, and headaches—without the use of drugs. How chiropractic can help you adapt to and handle stress better. How chiropractic can help you naturally improve and regain your health. How to live your life to the fullest and increase your happiness. How to maximize your life potential, both immediately and in the long run. 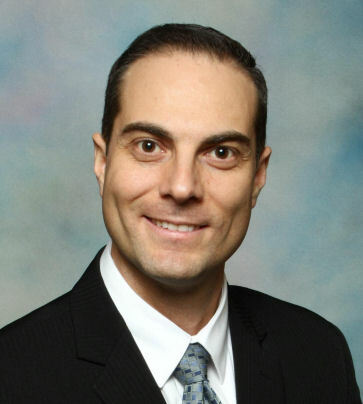 Dr. Walter Salubro has been a practicing chiropractor for more than fifteen years. 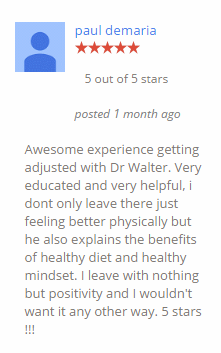 His clinic is located in Maple, Ontario, and it has helped thousands of people get relief from pain, stress, and improve their health. Dr. Salubro is also an engaging, dynamic speaker who routinely covers topics on chiropractic, health, and the wellness lifestyle. Back to Health by Choice is a wonderful book that is as moving to read as it is inspiring. Read it and transform your health. 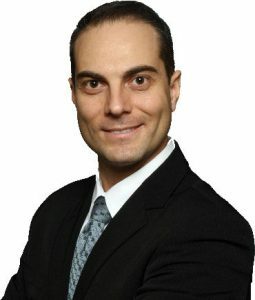 Dr. Walter Salubro is a family wellness chiropractor and the owner of Back To Health Chiropractic Centre in Maple, Ontario. He grew up in Toronto, Ontario, and moved to Vaughan, Ontario, with his family at the age of fifteen. Dr. Walter Salubro Of Back To Health Chiropractic Centre Reviews New Study Showing That Sitting Is Detrimental To Your Health. Is sitting “the new smoking”? Maple, ON – In my seminars, I always tell my patients that the human body is designed to be moving and be active, not sedentary. Unfortunately, technology is advancing faster today then the evolutionary process. Think about this for a moment. Early human ancestors were hunters and gathers. They were up on their feet all day, running, walking, bending, crouching and moving. They were not sitting in front of a TV, a computer monitor, in their car or at a desk. They were active and using their bodies the way it was designed to be used … for motion. Healthy, Happy People Have These 7 Habits In Common. How Many Of These Habits Do You Have? Maple, ON – Health and happiness … two attributes that all people thrive for. People say, “without your health there is nothing”. I have noticed too that people are consciously or subconsciously searching for happiness in their life. Interestingly, I have yet to meet a person who is sick that is happy and I have yet to meet a person who is unhappy that is generally healthy. I have learned that to get what you want in life, look at other people who have what you want and do the same things that they are doing. So, if you are striving to better your health and are searching for happiness, do what other healthy, happy people do. 1. They Get Regular Chiropractic Care – As a chiropractor, I meet many people who are searching for better health. My newest patients, when they come in with pain, stress and other health problems, the last emotion they are expressing is happiness. 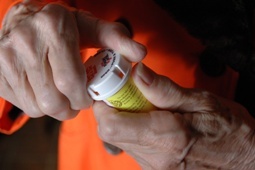 Some are frustrated with their pain and illness, some saddened and some are worried. But something amazing happens when they pursue chiropractic care … they get healthier, they become pain free, they handle their stress better and their quality of life improves. And this makes them much more happy!! The healthiest, happiest people I have ever met in my life are chiropractic patients. Chiropractic offers a unique approach to health care that aims to discover the root cause of the pain or health problem and then assists in correcting the root cause. Chiropractors work on balancing the nervous system by correcting spinal misalignments that interfere with healthy nerve transmission. The nervous system controls all bodily functions, all healing and all repair. The nervous system, especially the brain, is also involved with emotions and memory. Therefore, when the nervous is functioning optimally, people express better health, better function and improved emotional control. It’s no wonder that people who get regular chiropractic care are healthier and happier. It’s a modern, fast-paced age of technology and social media and the overuse of using handheld devices has skyrocketed. It seems that people of all ages, from infants to seniors are now using portable media players and handheld electronic devices. If you find yourself in any of these positions when using your personal electronic device, you are putting undue strain, stress and pressure on the muscles, discs and nerves of your spinal column. It may lead to a kink in your neck or tightness in your shoulders today, but in 10 to 20 years, it can lead to degenerative arthritic changes, chronic spinal misalignments and decades of stress on your nervous system (the master control system of your body). Chronic, repetitive overuse of handheld electronic devices in bad postural positions as shown above can lead to an array of pains and discomforts, like muscle strains, neck pain, back pain and headaches. As well, over many years and decades, it can lead to spinal degenerative arthritis. Now is the time to change your habits when using these devices. 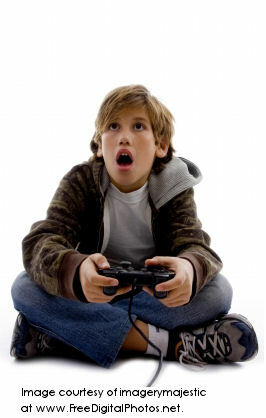 And now is the time to teach your children better postural habits when using such devices. Be smart. Think about your future health and well-being today. We all use these devices on a daily basis as they have the infiltrated our modern social living. Start today to be mindful of your body positions and posture when using handheld electronic devices. Better choices today for better living tomorrow. Back To Health Chiropractic Centre in Maple, Vaughan Ontario. Call (905) 303-1009.